Also in the essences it contains collagen, peptides, vitamin C and concentrated extracts of witch hazel, wheat, licorice, melon pear and mint. 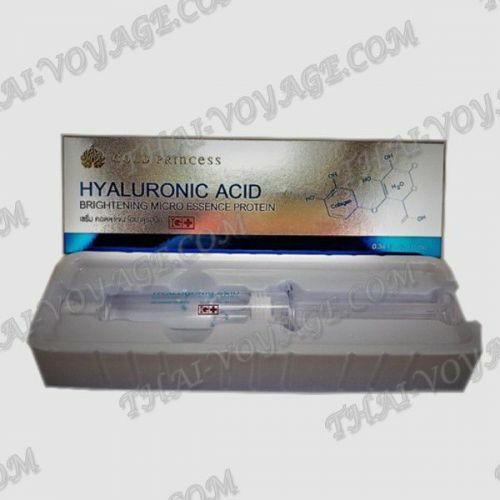 For drip flow hyaluronic acid is presented in practical packaging in the form of a syringe. Application: apply a few drops of essence to clean, dry face, allow to absorb.